Cloud-based software as a service provider, OnFast, offers the vacation rental industry a simple, time-saving way to reach travelers by leveraging social networks such as Facebook, Twitter, LinkedIn, and their blogs. 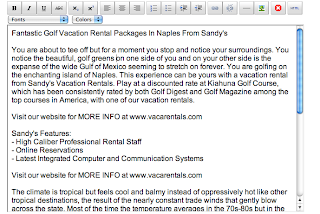 Homeowners and property managers in the Vacation Rental industry can easily create social network posts, blog posts, and press releases using OnFast's writing assistant. There are dozens of pre-written templates archived in the message gallery but owners can also write their own posts from scratch. The process of writing blog posts for new rentals, special promotions, and other marketing campaigns is made simple by using OnFast's pre-designed templates. Blogging allows homeowners to attract new renters, showcase their properties, and share travel experiences. As owners post additional blogs, they can choose from previous posts in the OnFast message gallery, which are measured for keyword strength and relevant content. Entries are then scheduled and automatically posted to the owner's blog and social networks. With OnFast's social feed dashboard, owners can easily monitor all their social networks for comments and provide instant feedback to their renters. In addition, OnFast provides homeowners and property managers the ability to offer discounts and promotional coupons to their customers, without any per coupon charges. These coupons are posted to social networks and blogs, or can be exported for email campaigns. Current daily deals can also be listed directly on the property manager's website using OnFast's proprietary coupon feed. Tracking the results of marketing campaigns is straight-forward, helping owners achieve their online visibility goals at a glance. 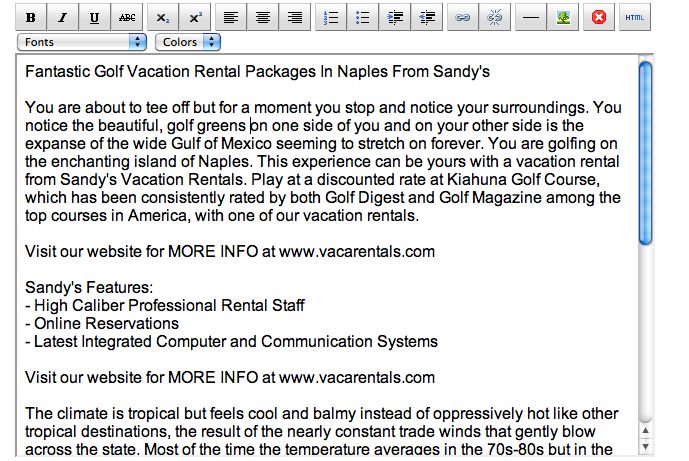 These features allow owners and vacation rental managers to efficiently leverage social networks such as Facebook, Twitter, and LinkedIn, in just a few minutes a week.